I LOVE pajamas! I would live in them if I could. In my early 20's my roommate and I used to even go places in our pj's. We would go to the grocery store, Walmart, and anywhere we needed to run to. We were comfortable so we just wore pajamas. I don't go anywhere now in my pj's, but I do love wearing them around the house. I also like fun pajamas. 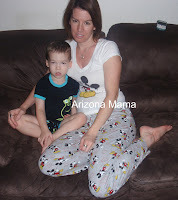 When I was contacted by Crazy for Bargains to do a review of Pajamas I jumped at the chance. They had so many cute ones that I could not choose. So I gave her a list of a few I liked and let here pick. 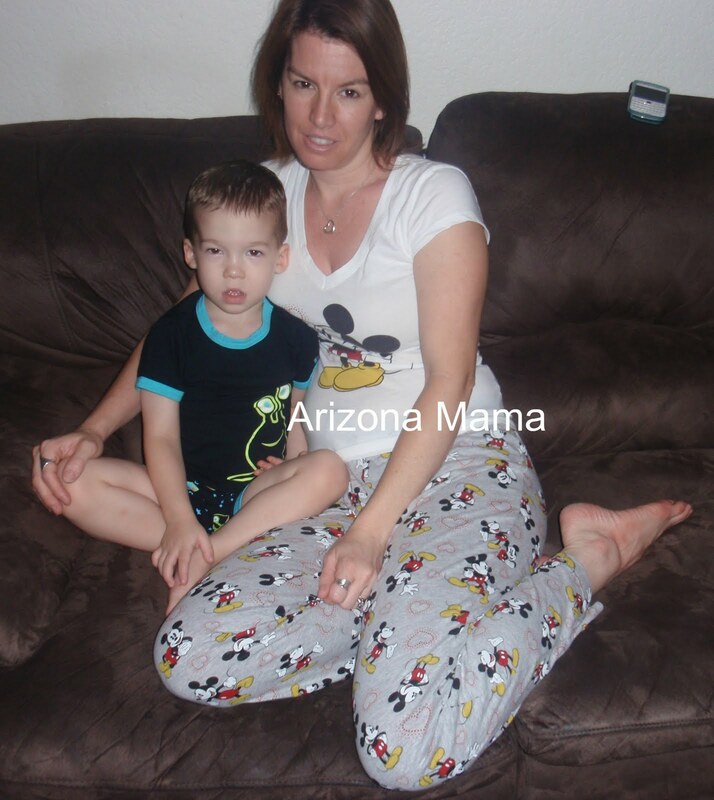 I was sent the Mickey Mouse Gray Pajamas for Women. Growing up I loved mickey mouse and was drawn to these as one of my top choices. 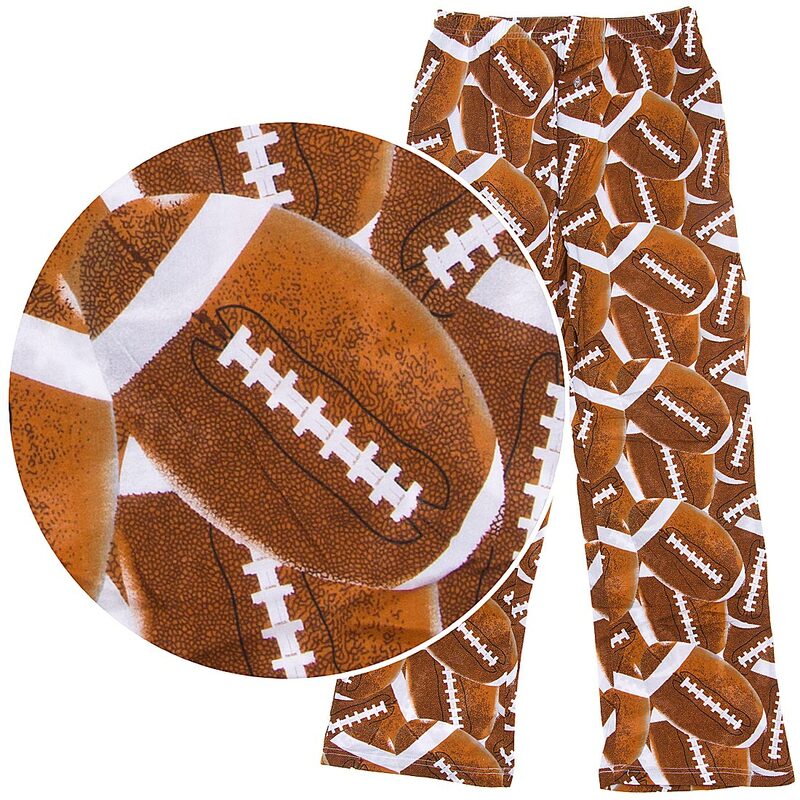 This set includes a 100% cotton knit shirt and 90% cotton 10% polyester knit pants. The pants have a drawstring and elastic waist. The pants also have an all over mickey mouse print with hearts. The shirt has a single Mickey Mouse with some hearts surrounding him. The pajamas are soft and comfortable. The pants fit well. I am a little disappointed that the shirt is a little tight. I prefer my pajamas to be a little big, not form fitting. Next time I order I will just get a large instead of medium and that should take care of that. 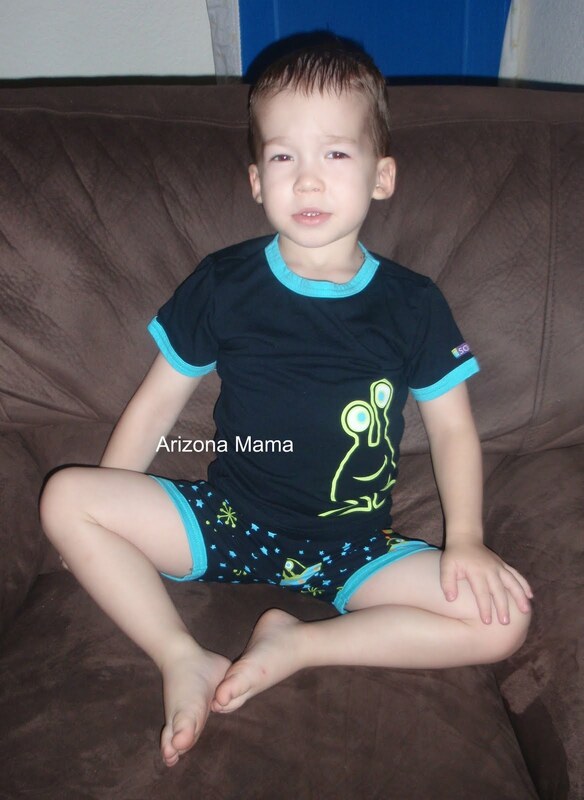 I was also sent the Sozo UFO Cotton Shorty Pajamas for Toddler Boys for Jayden. These are made with 100% cotton and are snug fitting. I wasn't sure how I liked the tight fit for Jayden, I know its important for fire risk, but sometimes tight fitting shirts are hard to get on and off his big head (lol). But the collar stretched pretty well and once on it wasn't too tight. The alien on the shirt glows in the dark. The first time I put them out for Jayden I showed him the glow in the dark and he LOVED it. He was so excited he kept turning the lights on and off. He even called daddy to see. The shorts fit great and are easy for Jayden to pull up and down on his own. The material is thick so he has not worn this set as much as he might want to. He tends to sweat when he sleeps. Crazy for Bargains has so many great pajamas, but they also have robes, slippers, and boxers. I already have my eye on a couple of things I like. Aren't these the cutest slippers ever! Jayden would love this boxer and t-shirt set. I think John would like these, and if not then I would wear them for sure. Crazy for Bargains has a huge selection of sleepwear for the whole family. At Christmas I like to get new pajamas for everyone and I know many other people have similar traditions to do Pajamas for Christmas. Crazy for Bargains is a great place to shop for those pajamas. Win it: Crazy for Bargains is offering 1 Arizona Mama reader a $25 gift certificate. Enter to win using the rafflecopter form below! Thank you to Crazy for Bargains for the great pajamas!! We love them~! I'd like the Super Mario Galaxy Pajamas for my son. I would love to buy the Men's Star wars pajamas. I love the Black and White Paisley Cotton Capri Womens Pajamas. I need pj's for my cruise in October! the betty boop hot pink juniors pajamas and the peace monkey juniors pj's would be my choice. I would get the Lego Batman Coat-Style Pajamas for Toddlers and Boys for my son! It seriously makes his month when he gets anything Lego Batman related! I would get the Sozo Giraffe pjs! I would get dd the Strawberry Shortcake PJs! I really like the Mint Green Housecoat for Women! I would love the Laura Dare Cherry Nightgown for Toddler Girls for my daughter! I would love to have the Black Cloudy Skies Fleece Plus Size Bath Robe for Women. I would get the Laura Dare Pink Heart Nightgown for Baby Girls! I would get some women's pajama shorts! I really like their Lazy One Dog Tired Cotton Pajamas! I would buy the http://www.crazyforbargains.com/mens-pajama-pants-angrybirds.html. Strawberry Shortcake Pajamas for Girls is what I would like. I'd get the white terry pajama pants. I would get the Tinkerbell Pajamas for women...my daughter would love mama to match her. 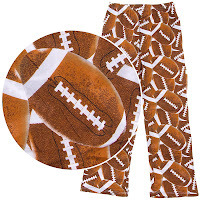 Sports Pages Cotton Pajama Pants and Football Pants too! I would choose the spiderman pjs with webs! i would get the blue cloud pajamas. I would get my 17 year old the Hello Kitty patchwork flannel pajamas - so CUTE!